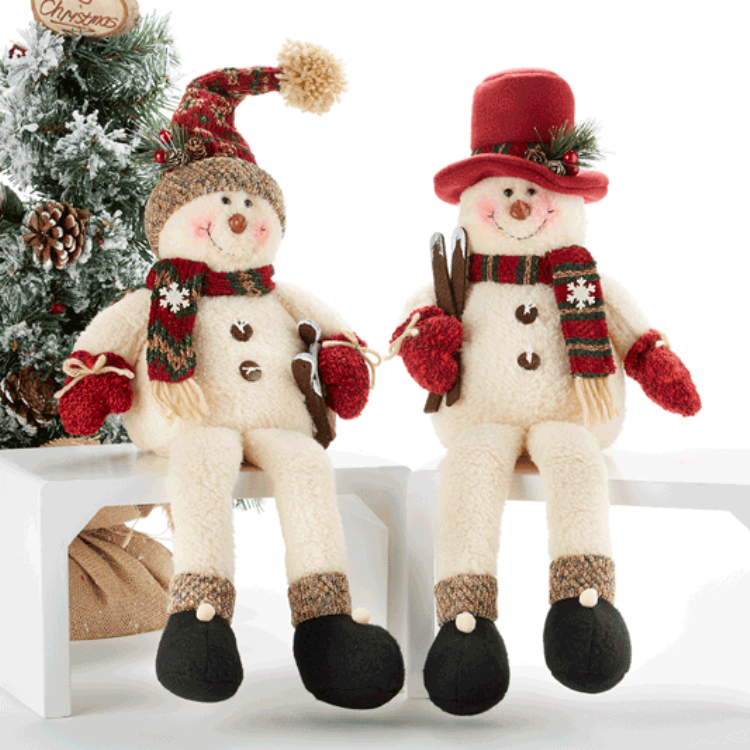 Red canyon weighted decorative plush snowman pair: Mr & Mrs. Softy are bundled up in their burgundy and green knit scarfs and hats and ready for an outdoor adventure with their sleigh and skis. 95% polyester filling, 5% sand (for weight). Size 17"